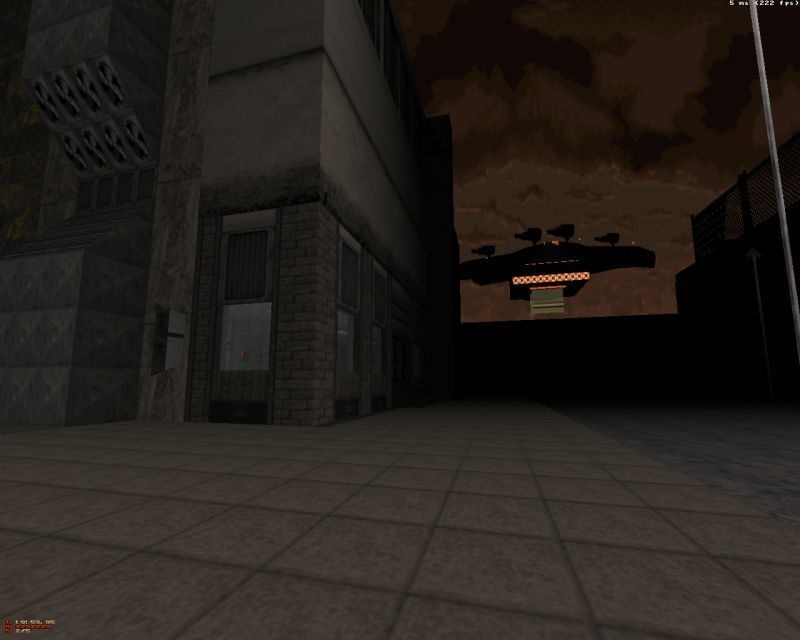 Description: Medium-size dark city map with a rather unorthodox gameplay. 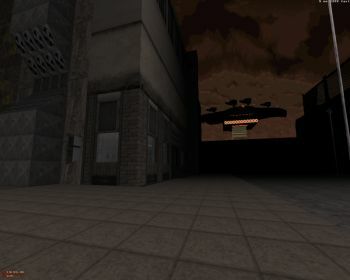 Into It: Compared to MRCK's previous maps, Wide Awake has a pretty stripped down look, not quite like his Metropolitan Mayhem maps, which were more vanilla in style, but more like a typical MRCK map but with half the details. The map is dark and brownish, giving more significance to the few uses of lighting effects throughout the map such as red coronas and burning buildings. Location-wise the map doesn't really have anything you haven't seen before but there's an alien spaceship at the edge of the map that helps create a sense of threatening alien presence. The biggest change concerns gameplay, which deviates quite a lot from the usual bunch. At first you're only given some pipebombs and tripmines. Some enemies are beyond your immediate reach with especially Enforcers being a constant source of annoyance with their hitscan weapons. And even when you're finally given some proper guns, it's usually of the experimental variety rather than the usual shotguns & chainguns. This approach to gameplay provides much-needed challenge and I found myself enjoying the map on a level quite different from the usual. My only complaint is that the last battle suffered from some minor annoyances due to the way it was set up. 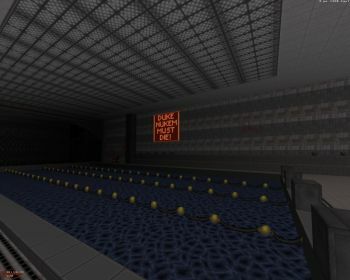 Conclusion: One of MRCK's fastest-built maps turned out one of his best. The map is a good-looking one despite being unambitious design-wise, at least when compared to MRCK's previous works, but the great thing is that you won't even be paying much attention to such things as you're gonna be more concerned with finding new guns and ways to outsmart the enemy.